It's time for another challenge from the Greetings Team at The Outlawz. This is the 5th week of March, so we offer up an 'Anything Goes' challenge. 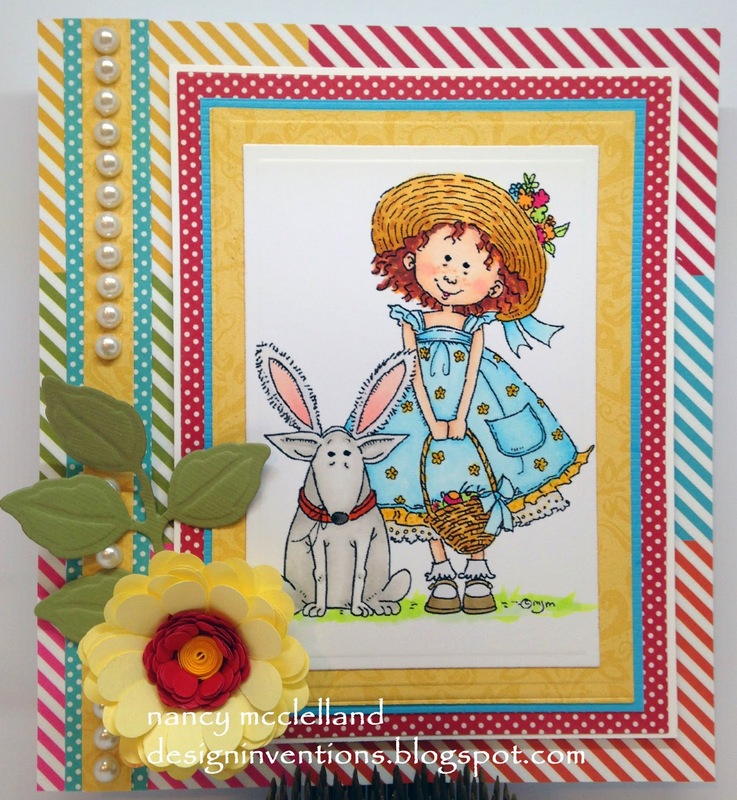 My Lacy Sunshine image for this week is Pickles, isn't he cute with the bunny ears. 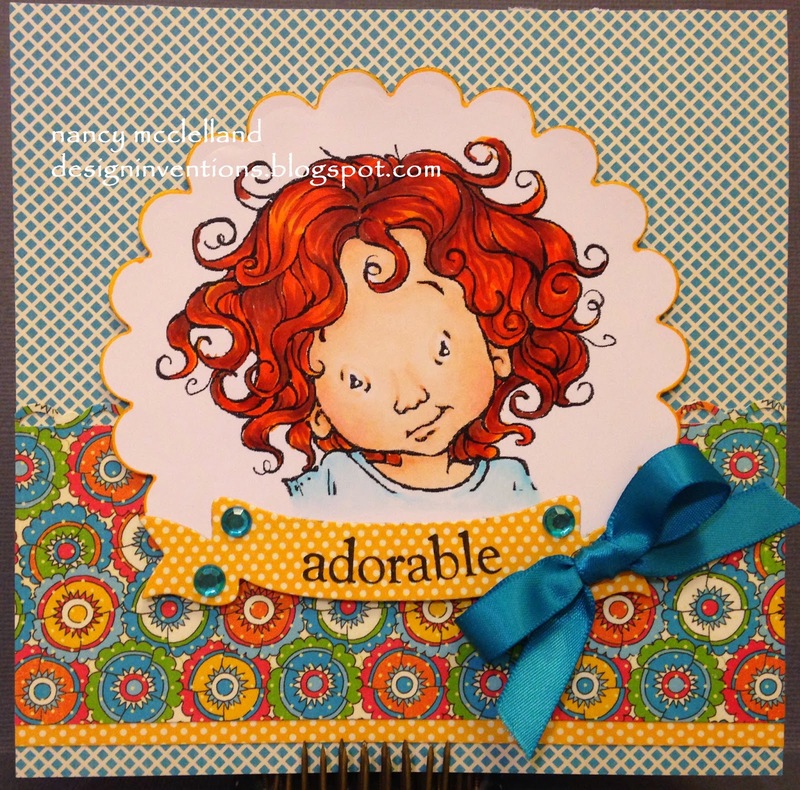 My card this week features paper from Paper Temptress and I took a flag/banner punch and made this fun card. I chose to not use a flashy image and just focus on the paper. I added a small sticker sentiment and bow. I love the colors and how it turned out. Thanks for stopping by today and I hope you have a great weekend. This week at Creative Corner Challenges we are focusing on Rainbows. Now I didn't actually put a rainbow on my card for the challenge, but I used rainbow colors. 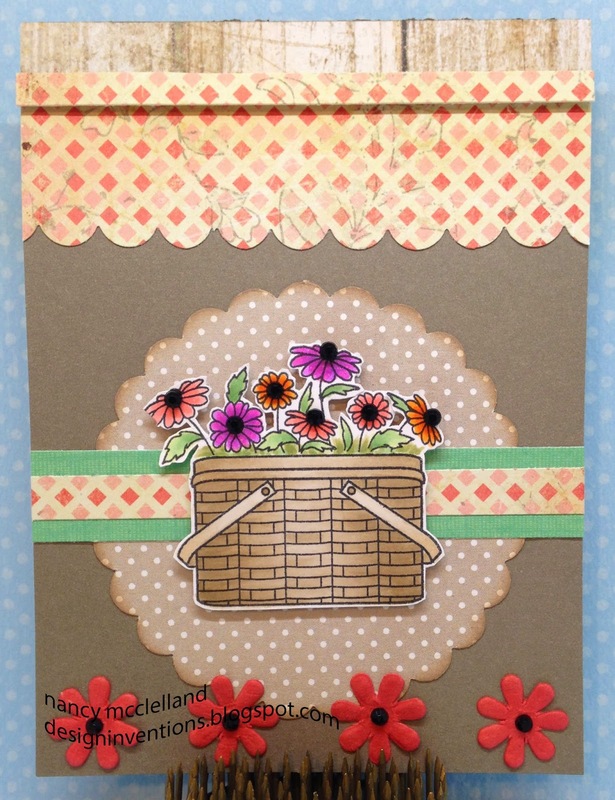 I created the background by using Washi tape and adhering it diagonally on the card front. This created the rainbow effect with colors. 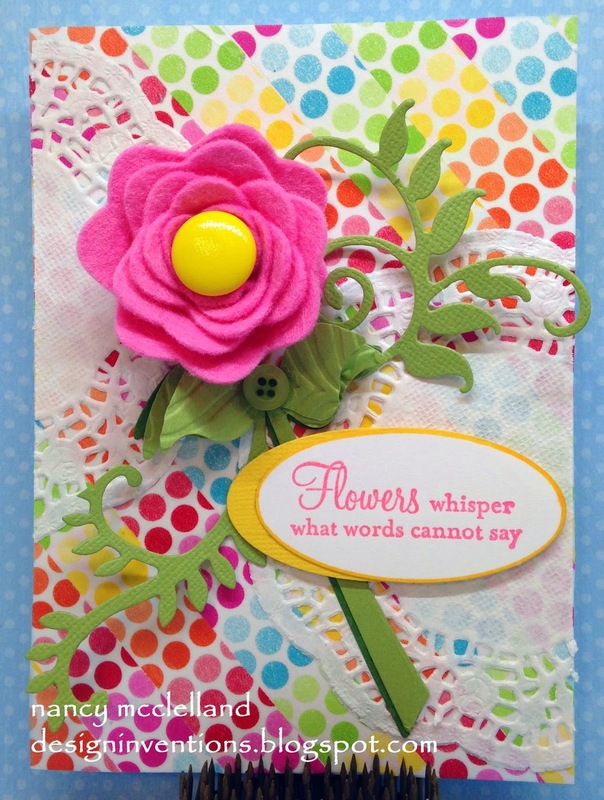 Using a felt flower and a few Spellbinder cut leaves I have the basic card. Simple sentiment attached for the finishing touch. 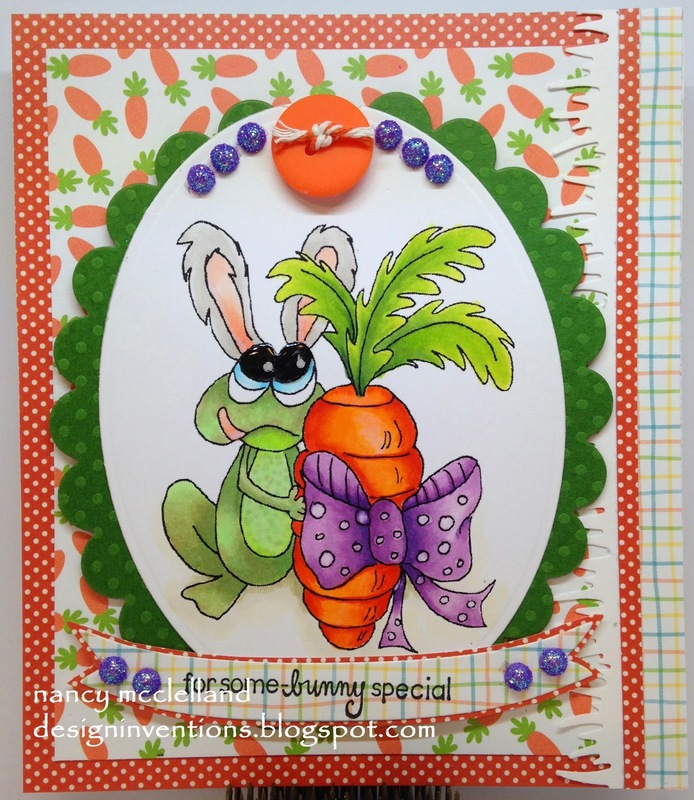 I hope you will stop over at Creative Corner Challenges and see what the other DT's have for inspiration. Well, it's rainy here in Iowa today and I have to wait at home for a couple of deliveries. I am working on all of my DT projects for the week and during my moving of stuff on my desk I uncovered this cute little Mo Manning image that I colored at least a year ago. So I gathered up a few papers, pearls and accents to put together this card. I left it without a sentiment thinking that it could be used just like it is or I can add the sentiment for a special occasion. Granted, Bella has Easter eggs in her basket and Bronte has on rabbit ears, I could stretch it for a couple of weeks if I needed a basic little card. Thanks for stopping by for my quick post, now it's time for me to get back to business and finish my weeks assignments. Ok, so who forgot to tell the weatherman that when it's Spring, that means EVERYWHERE. Well it snowed some yesterday and again last night. The ground is covered and the wind is just howling. Hopefully this is the last of this weather and by the end of the week we could see the 50's. 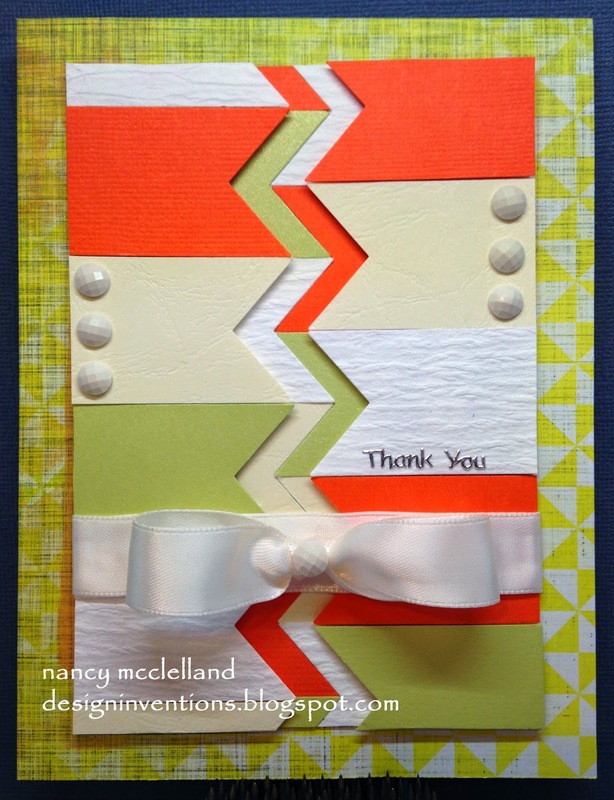 Today I want to share a simple little card I made with some scraps from the desk. It's a sweet basket of flowers. 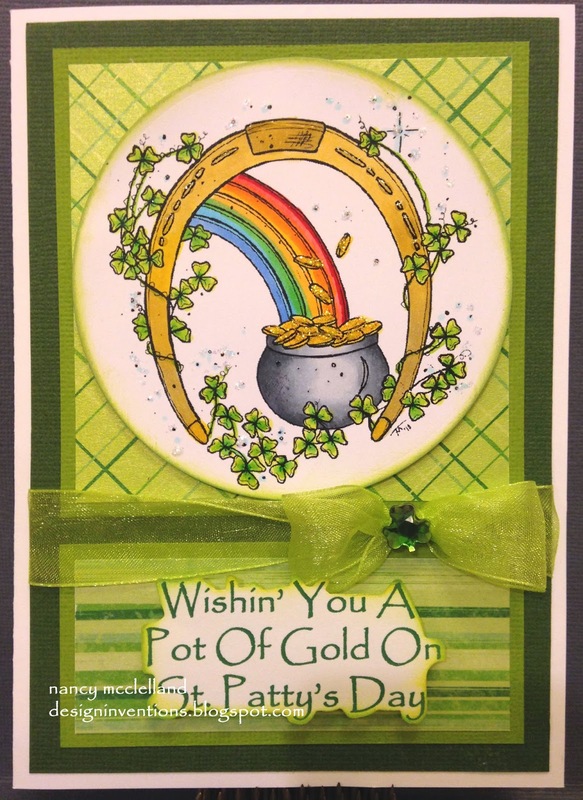 This is a great type of card to have on hand because it has no sentiment and can be used for so many occasions. Just add the sentiment when needed. 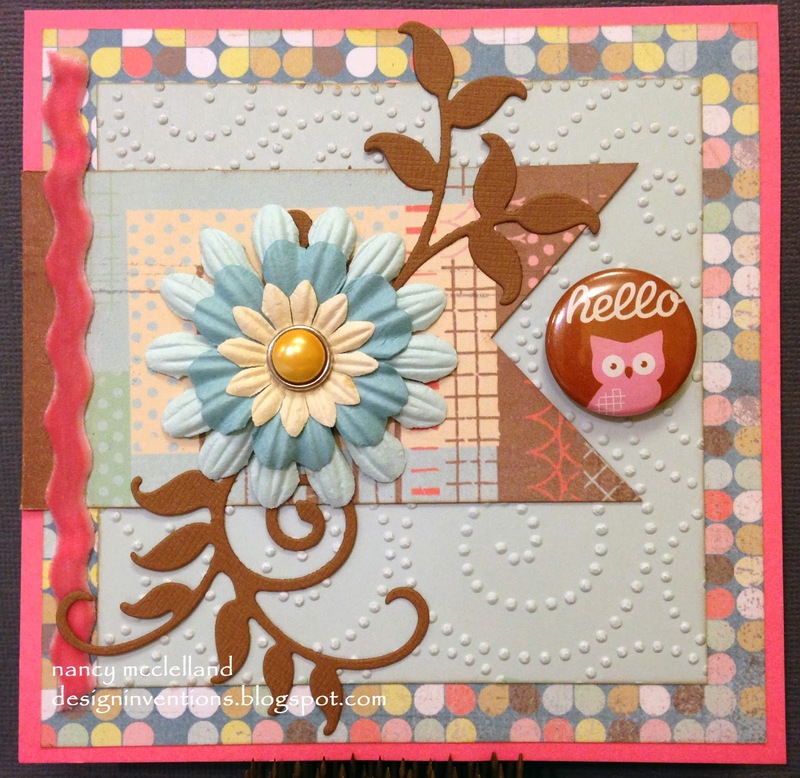 It's Greetings Challenge day again at The Outlawz and this week it's all about the Texture. We want to see all those fun touchy-feely projects. 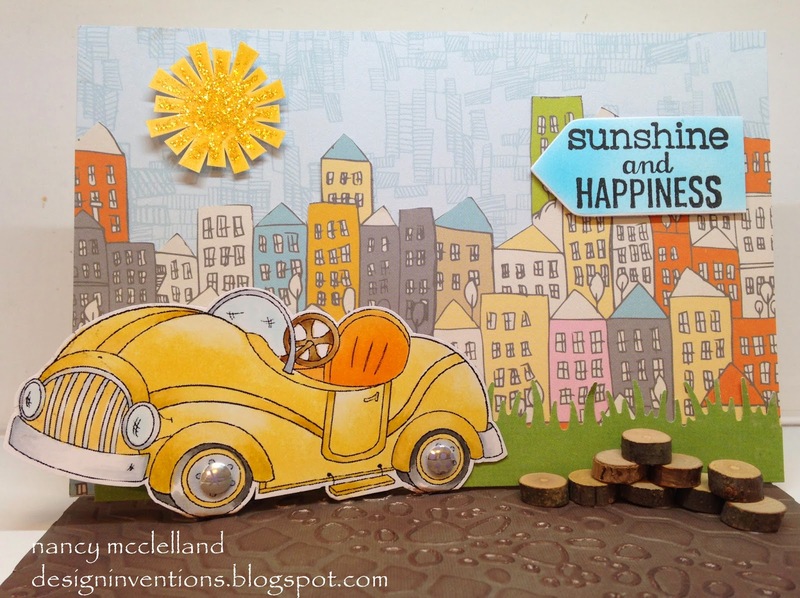 I made an easel card so that the Sports Car could stand up in front of my city scene. 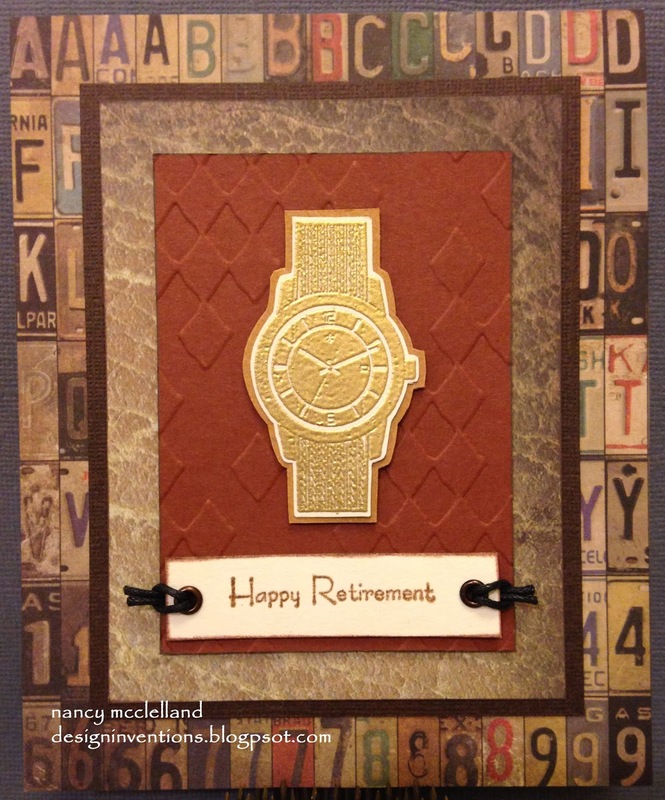 My main texture for the card is a Spellbinders embossing folder that has a tire track design. You might be able to see it a little better in the picture below. I also used some little wood pieces to create the accent . It's Sunday and we have another challenge from 613 Avenue Create today. You can enter your Anything Goes creation or you can try our optional twist this week which is Birds of a Feather (birds, feathers, wings, etc, it's open to your interpretation!). When I saw Edgar I thought about a box of feathers I have and figured he could use a few. I also wanted to use paper piecing for his vest, so that was my jumping off point. Went through my scrap papers to find a good pattern and then planned the card from there. I decided to keep the card on more of a masculine feel, so not much accent. I chose some twine and square nail heads. 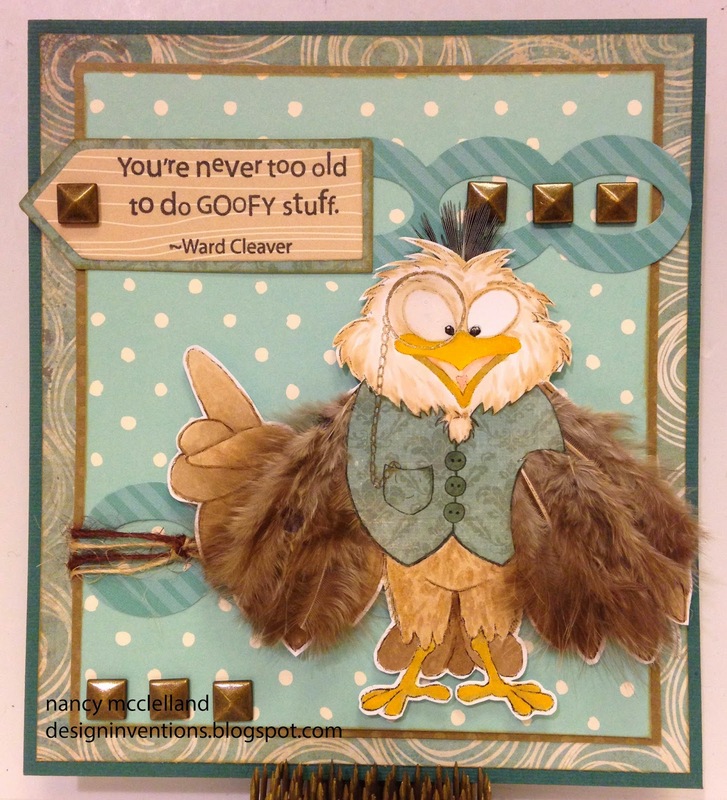 I hope you enjoy my version of 'Birds of a Feather' and go on over to 613 Avenue Create and check out all the other DT inspiration. Today it's time for another challenge from Hiding In My Craft Room and we are going digital. 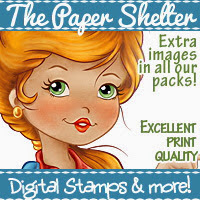 This can be a digital image, digital scrapbook page, digital papers printed, anything from the digital world! 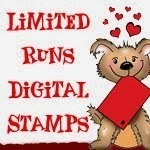 The sponsor this week is Sami Stamps! This week I chose a very simple little image, but he's so cute. I find myself picking up more boy images because of my grandson. When I saw this one, I knew I needed to add it to my collection. 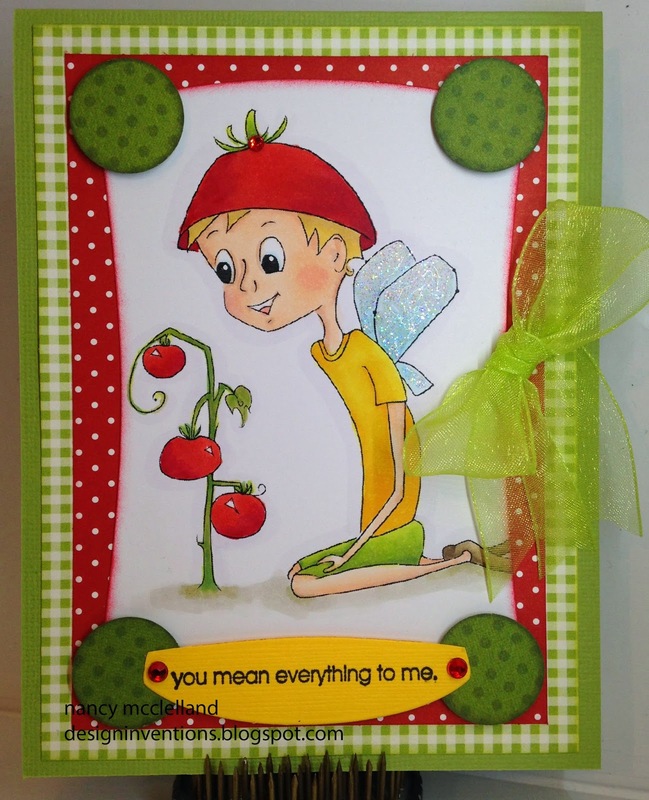 I knew the color of the red tomatoes would determine some of the papers on this card, so I added the yellow along with the green to add that punch of accent color. He does have sparkle wings, but I think that's just fine for a fairy. I hope you enjoy and play along this week. Thanks for stopping by on this fine Saturday. I want to share some Amuse' Studio Bunny Fun today. 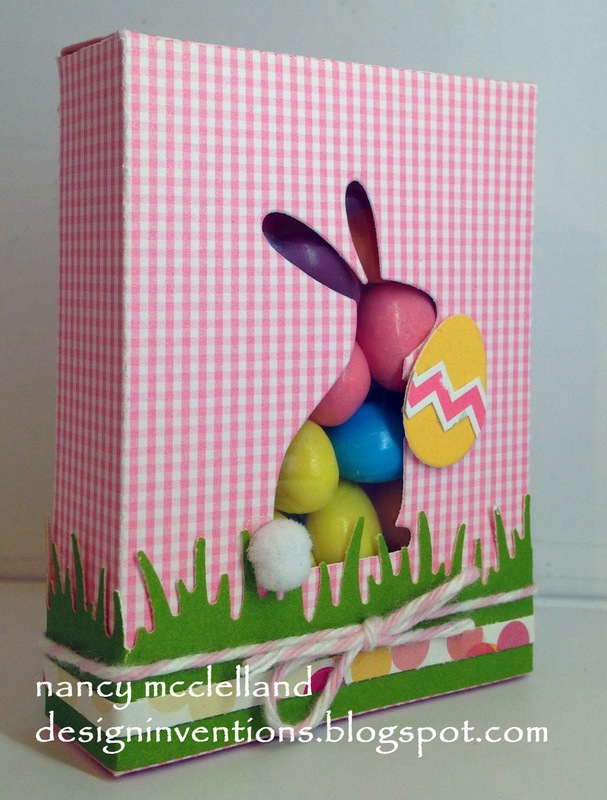 I made this little candy box with the bunny cut-out, then filled with candy treats. The items needed are listed below. I used a few scrap papers for the egg, grass and trim. 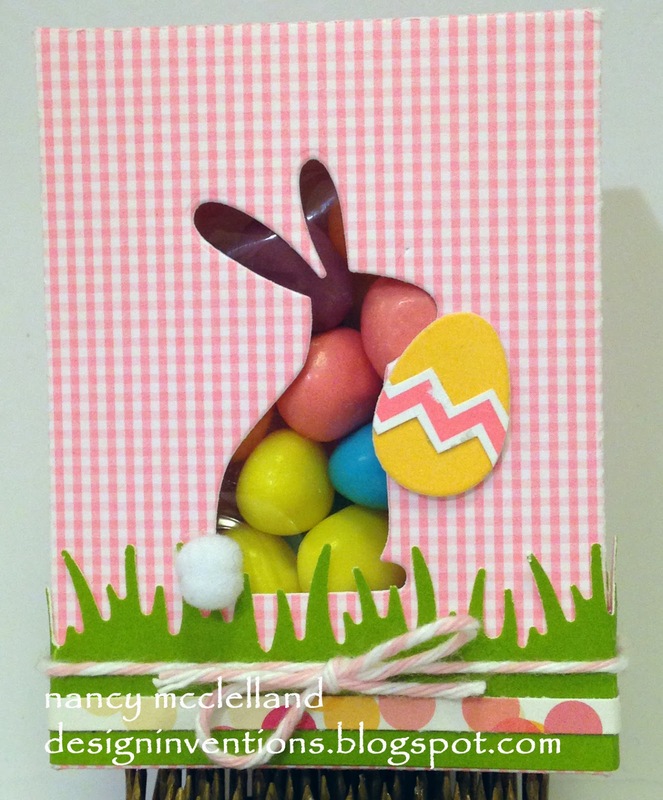 These little boxes are so fun for all occasions and so easy to put together. I try to have some generic ones always around with mints or chocolate for when we have guest. 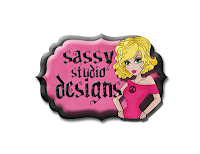 Supplies listed below and be sure to go to Amuse' Studio and look at all the other items. I must admit that I just recently became somewhat attached to Facebook, partly because it's the main communication vessel of one of my Design Teams. Well, while checking in the other day I noticed a fun group associated with Mo Manning. Needless to say it sparked my interest because I love her images and have many in my inventory. So, I took the jump and joined the group. I wanted to show you the card I made with a head shot that was offered to the group. so here's my little card using the image. Go visit Mo Manning Digitals and check things out. Image is from The Paper Shelter. If you are looking for The Outlawz post, please scroll down. 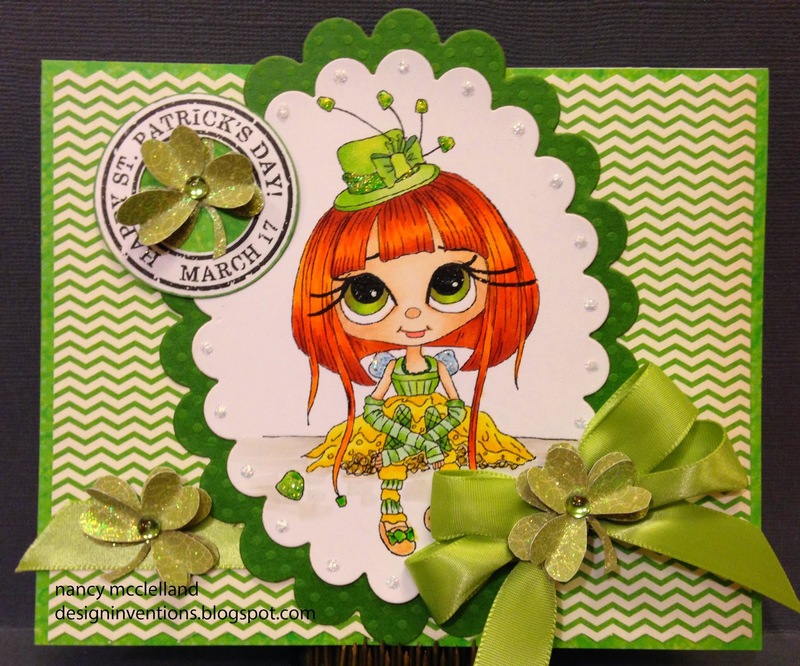 Today is St. Patty's Day and I must admit that I usually celebrate with treats and cards for my friends and relatives, well this year I totally wimped out. Last week I spent most of my time taking care of my sick little grandson, so Grams didn't get much done. Today I want to wish everyone a very special St. Patty's Day and we are doing the same thing at The Outlawz. So Lucky me I have a card to share and my friends and relatives who check my blog. I hope your day is special and thanks for stopping by. I hope you join us at The Outlawz and see what the other DT have featured. 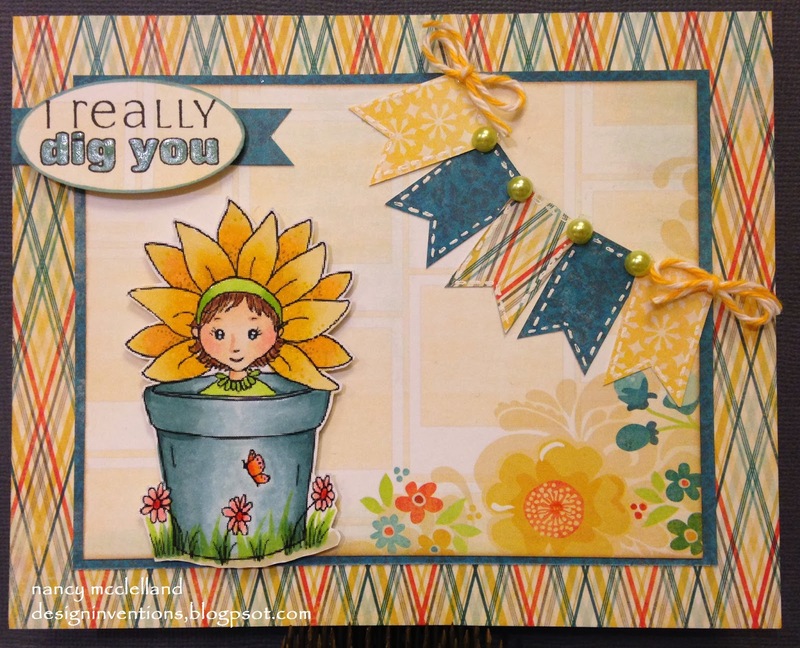 I want to feature a card today that I made for my last post as a DT for the Hobbycutz Challenges. I have enjoyed working with Kobie and the team. Sometimes you just find that you are on overload with too many deadlines falling at the same time, creating conflicts in my schedule. I love all the design teams I'm a part of, but needed to trim some of my obligations. My card this week is so fun and gives me some inspiration for warm weather that hopefully will arrive soon. So for Challenge 39 we would like to see Shaped Cards. Any shape any size - anything but square? I had this great fence from Hobbycutz and thought it would work perfect with the image, as it reminds me of the beach and sand dunes. Thanks for stopping by to visit today and please don't forget to hop over the Hobbycutz and see the other DT cards. The cards this week are all so different and amazing. We are also going to have another giveaway to a second winner! Yes, 2 winners this week! You have until Saturday, March 22nd at 2AM Pacific time, to link up your creation to get entered into the TWO giveaways this week. When uploading to online galleries please use code HIMCR141. Today at The Outlawz we have a coffee theme, how much fun can that be??? I love having my coffee all day long and I often tell myself that I've turned into my mother. It's so funny how things like that happen. Most of the papers are from a digital paper pack that I printed and then used just like scrapbook paper. 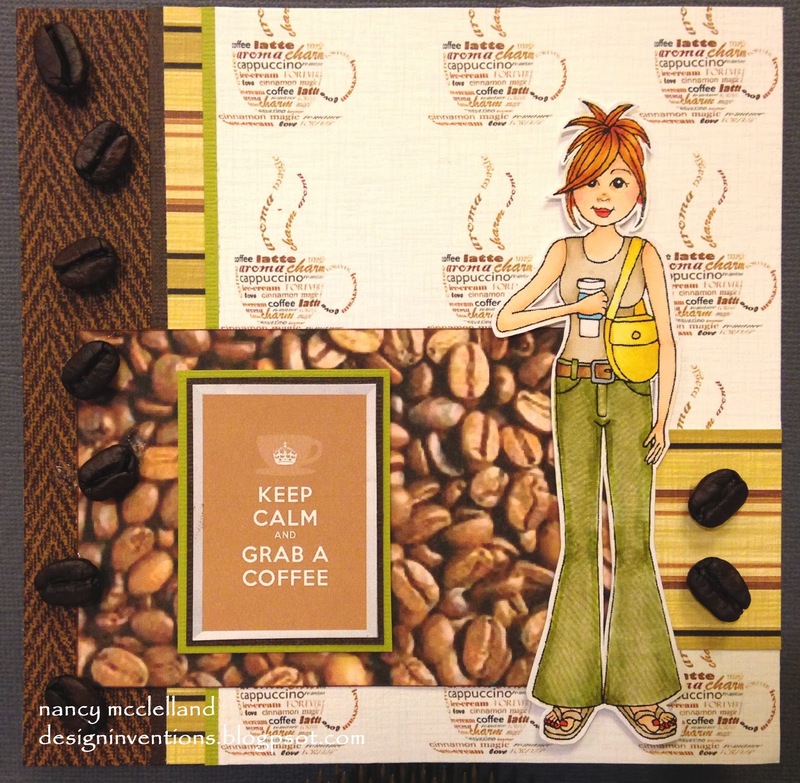 Then I decided that I would glue Coffee Beans to my card, well let me tell you it was not easy. They have so much oil they didn't want to stick. Well I pulled out the trusty ZipDry and now they'll stuck for good.. Thanks for stopping by and don't forget to hop over at The Outlawz. This week at 613 Avenue Create we've got a little bit of green going on. 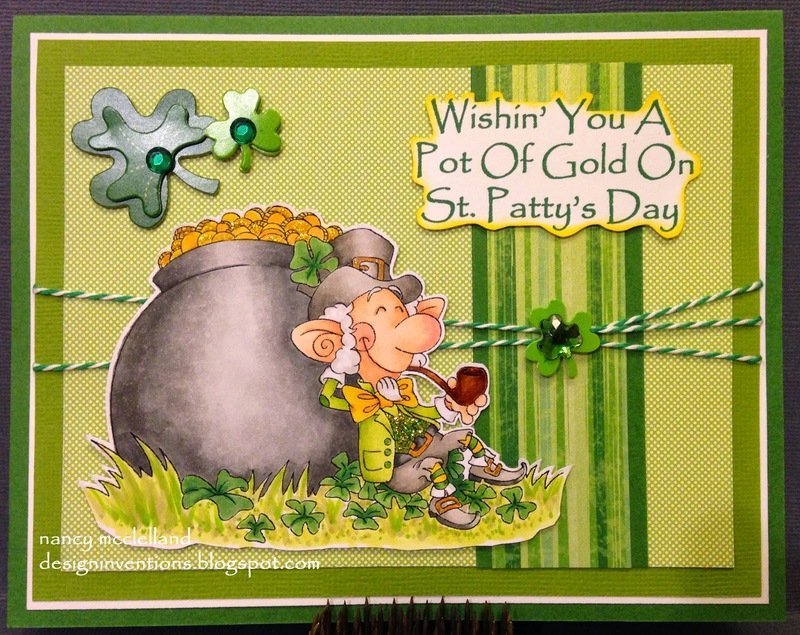 I must admit that I'm a little behind on my St. Patty's day card this year. I was happy to make this card and get a kick start to my week. Hope you enjoy and check back often this week. So Do You Know What Day It Is................ Super Scraps Saturday!!!!!! Today is another Super Scraps day at Hiding In My Craft Room. I think this is one of my favorite challenge days. I usually have been working on three or four blog projects and by this time it is time to clean off my crafting desk. This is a fun challenge because I have so much to choose from by this day and the card goes together pretty fast. Well this week I got my card finished early because while my Fabulous husband upgraded my PC last weekend I completed several cards. I'm not sure I even put a dent in my mess, but I also have about 6 other small cards ready to go when needed. Thanks Bill for the new upgrades!! I hope everyone has a great day, I'll be crafting with some friends for the day. Tonight Bill an I had the opportunity to help celebrate the retirement of our friend, George. He lives in our neighborhood and also was a great help during the construction of our office. George and Bill have one big thing in common during the summer, they have matching lawn mowers and love to mow the grass. The two of them not only mow their own lawn, but manage to get around the neighborhood to mow some of the public areas. I do believe that George will win the prize this year since he has officially retired. I always include our neighbors when I make cards for special occasions, so of course I made a special card for George. We gave him a Gold Watch. Today I am sharing a card that I made for my daughters Aunt. I am so happy that I don't have to make many of these cards but, I know its an important time to tell someone you are thinking about them. I used an overall patterned paper for the background and then made a tone on tone paper layer. I used basic white paper and then stamped the image with a Wheat tone ink and them embossed with clear embossing powder. 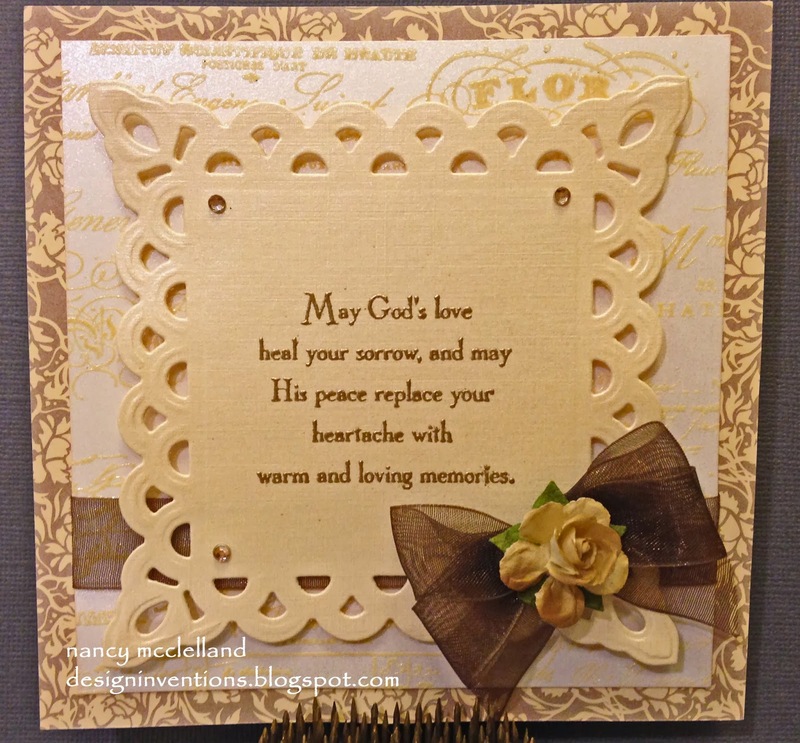 Using a fancy Spellbinders Die and a cream paper to create the center focal point with the sentiment. I added a few gems. simple ribbon and a Prima flower to finish thing off.. I might suggest that it is nice to have a supply of off-white Prima flowers so that you can colorize them to match your card. I used my Copic Airbrush to make this one the perfect match. Today at The Outlawz we are celebrating our favorite song. As I was picking my image for this challenge I started going through my favorite songs in my head. Since my primary source of music is the local Christian radio station, I faced a hard challenge. I have so many songs I love, but decided to think back about what song just makes me feel at ease and I was steered in the direction of the group 'Point of Grace'. 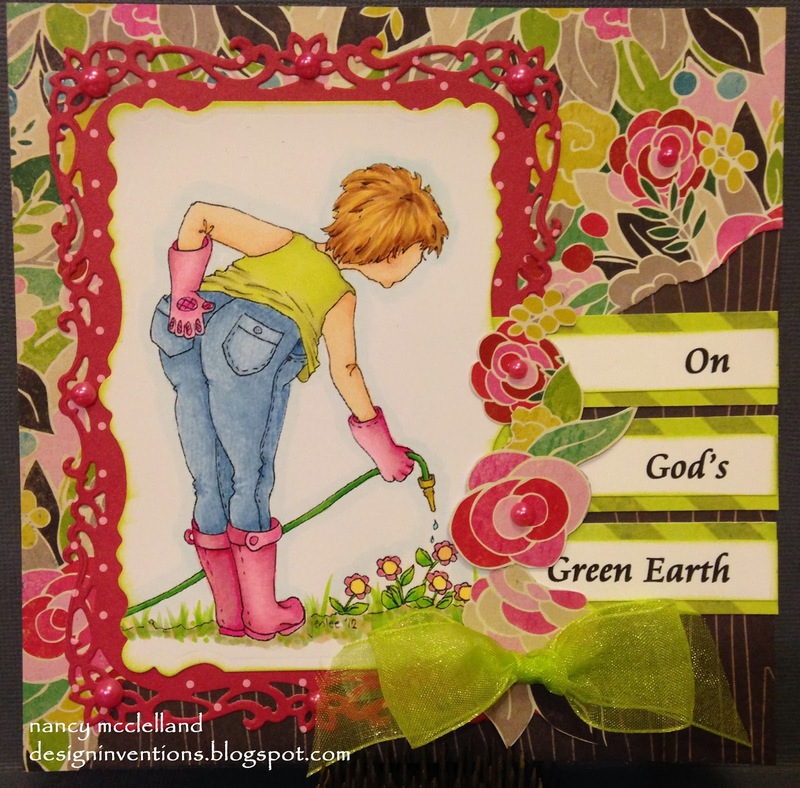 I hope you enjoy this card today and take some time to enjoy God's Green Earth, even if it has 2 foot of snow on it. We are never given more than we can handle, Spring will come! Ok, so even if the weather won't cooperate, I can still celebrate Springtime in my crafting world. Today over at Hiding In My Craft Room, thats exactly what we plan to do this week. 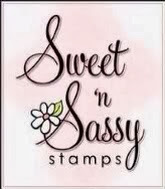 The sponsor this week is Sweet 'n Sassy Stamps. This is my card for the week using Sophie in the pot. 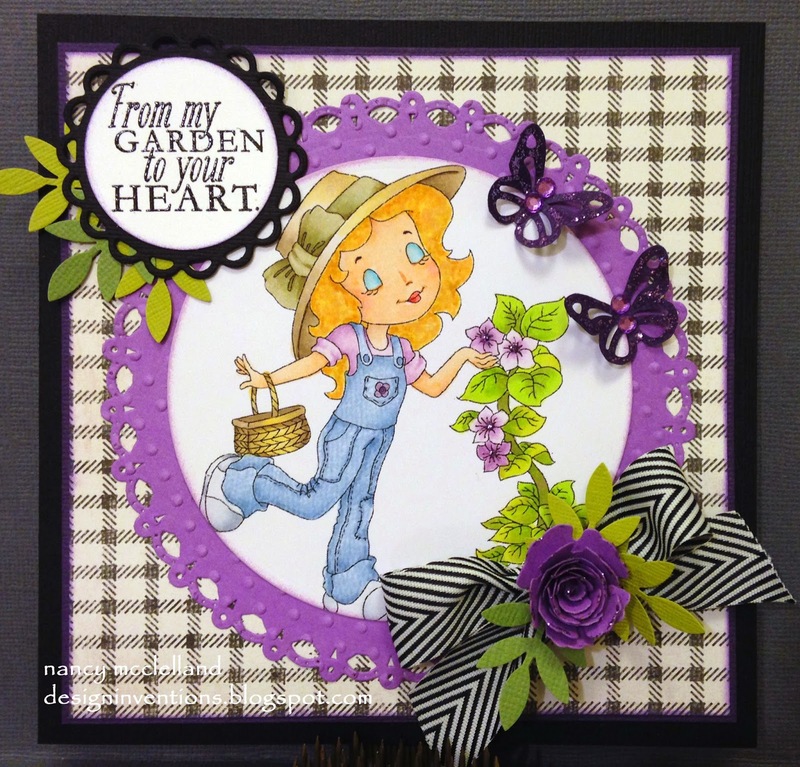 I love the way the card turned out using the purple tones. 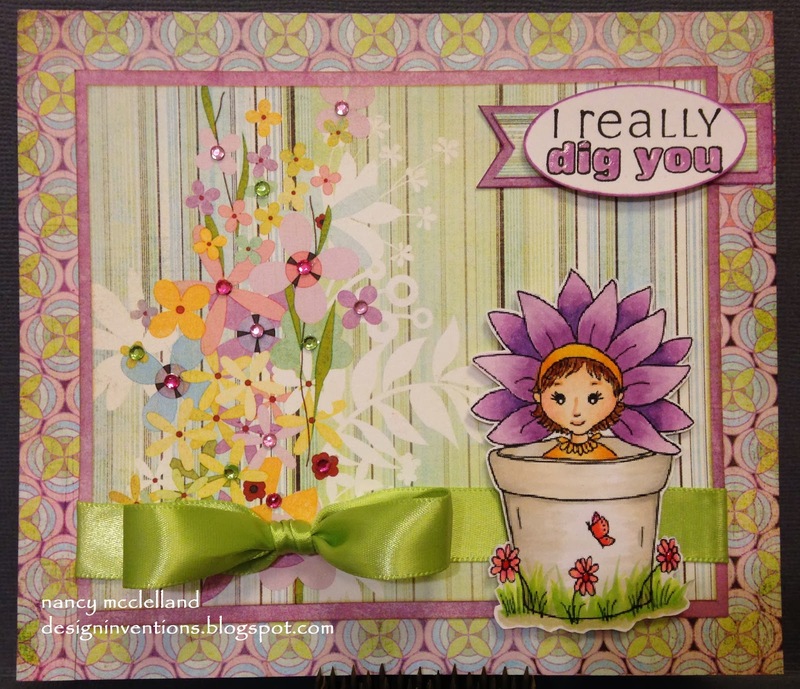 Now this card below was the first card that I constructed and after I looked at the finished product I wasn't totally sure that it had the light Springtime colors that I wanted. I love this card also, so decided to post it anyway. I think that if you visit Hiding In My Craft Room this week you will see how different this little image can be colored. Thanks for stopping by today and have a great Saturday.